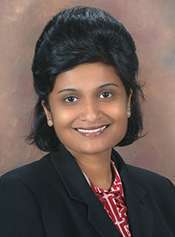 Associate Professor, Department of Health Management and Informatics, College of Allied Health Sciences, Georgia Regents University, USA. Ph.D- Public Administration & Policy (with a concentration in Health Management & Policy), Nelson A. Rockefeller College of Public Affairs and Policy, University at Albany, State University of New York. Dissertation Title: Knowledge Sharing Networks in Professional Complex Systems: An Exploratory Study of Knowledge Exchange Among Hospital Administrators, Physicians, and Coders, in a Changing Environment of HospitalQuality Reporting. M.S- Health Management & Policy, School of Public Health, University at Albany, State University of New York (SUNY) Thesis Title: A Comparative Study of Demographic Characteristics and Practice Patterns among U.S. Medical Graduates and International Medical Graduates in the United States.? [American Medical Association Datasets: 1995-1999]. M.A. Economics, Osmania University, Hyderabad, India, June 1997. B.A. Economics, Stella Maris College, Chennai, India, June 1995. I am a health services researcher with a particular interest in studying the implementation of change & innovation in healthcare organizations (HCOs), e.g., the implementation of evidence based practices, health information technology, and patient?centered care. For example, I recently completed an AHRQ funded project which examined the structure and content of communication associated with successful implementation of evidence based infection prevention practices at the unit/ICU level. In another recently completed intramural funded project, I examined the extent of leverage healthcare providers have in preventing revisits for pediatric asthma outpatient care, through effective (patient centered) communication of the Asthma Self Management Plan. Correspondingly, Im also interested in understanding how the effective implementation of evidence based practices by healthcare providers could contribute to the promotion of community (population) health outcomes. A key deliverable of many of my projects has been the identification of evidence based management strategies for enabling tacit knowledge exchange, learning, and practice/behavior change in healthcare organizations. Methodologically, I lean towards mixed method research, which includes quantitative & qualitative techniques, content analysis, and Social Network Analysis (SNA), with emphasis on network structure and knowledge sharing networks.